CORNELL (US) — Cancer cells must prepare to invade new tissues, and researchers have found a way to stop them from migrating. Researchers have identified two key proteins that are needed to get cells moving and have uncovered a new pathway that treatments could block to immobilize mutant cells and keep cancer from spreading, says Richard Cerione, professor of pharmacology and chemical biology at Cornell University. Most adult cells stay stationary, but the ability for some to move helps embryos develop, wounds heal and immune responses mobilize. When migrating cells go astray they can cause developmental disorders, ranging from cardiovascular disease to mental retardation. 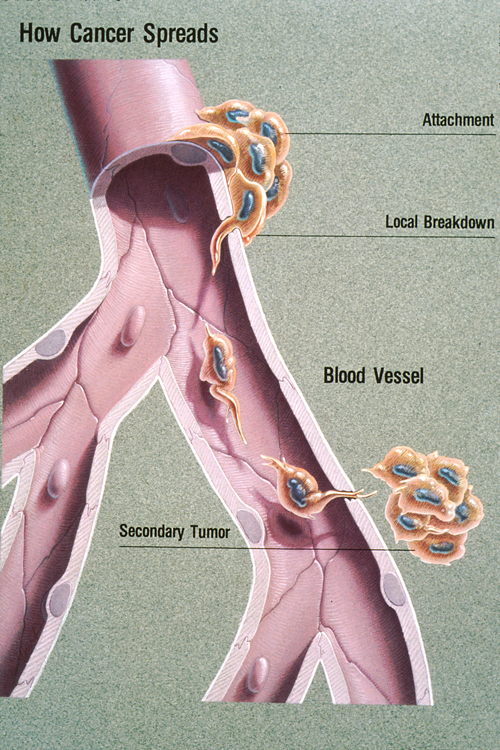 Metastasis (the spread of cancer from one part of the body to another) also relies on cell migration. How exactly cancer cells migrate and invade tissues continues to be a mystery. However, Cerione’s lab uncovered a potentially important clue when it noticed that cancer cells gearing up to move would collect a protein called tissue transglutaminase (tTG) into clusters near the cell membrane. “tTG is turning up in many aspects of human cancer research and seems to be contributing to the process that turns cells cancerous,” says Cerione, who worked with coauthors graduate student Lindsey Boroughs, Jared L. Johnson, and senior research associate Marc Antonyak on the study. The team’s findings are published in the Journal of Biological Chemistry. Observing breast cancer cells in culture, Cerione’s lab found a missing link in our understanding of cell migration: Cancerous cells become hyperactive invasion vehicles by using tTG together with other proteins like wheels, poking them through the surface to form a “leading edge” that pulls the cell forward. But to get the wheels to the leading edge, it turns out they need another protein to roll them there—a “chaperone” protein called heat-shock-protein-70 (Hsp70). “We’ve known for years that Hsp70 acts as a chaperone to other proteins, ensuring that they assume the right structure and behave properly when a cell is under stress,” says Cerione. “Heat shock proteins have also been implicated in cancer, although scientists have been trying to understand their exact role in cancer. When cells become stressed, Hsp70 influences the behavior of their “client” proteins, ensuring they keep the right shape. Cells need chaperones like Hsp70 to ensure that various proteins work correctly and don’t warp, but these same chaperones can help cancer cells spread by helping move tTG to the membrane surface. Using inhibitors that block the function of chaperones, Cerione and his team paralyzed Hsp70s and stopped breast cancer cells in culture from gathering tTG into a leading edge, effectively immobilizing them. “If we can better understand how Hsp70 influences tTG, we can figure out ways to modulate that interaction to immobilize cancer cells and keep them from becoming invasive,” says Cerione. This work was partly funded by the National Institutes of Health.